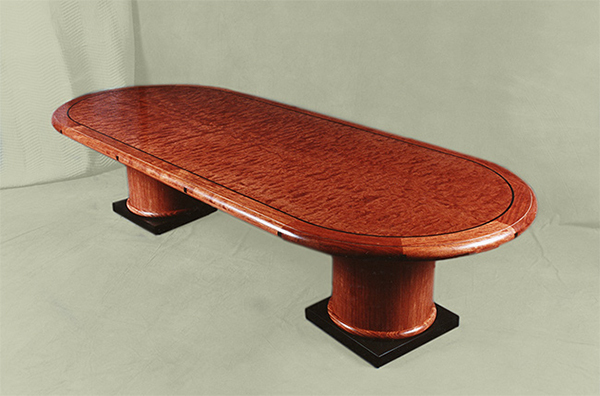 This large conference table was built with highly figured Bubinga wood veneers and solid wood. It is accented with Ebony inlay and sits upon 2 columnar bases. The finish is a clear lacquer finish hand polished and waxed.